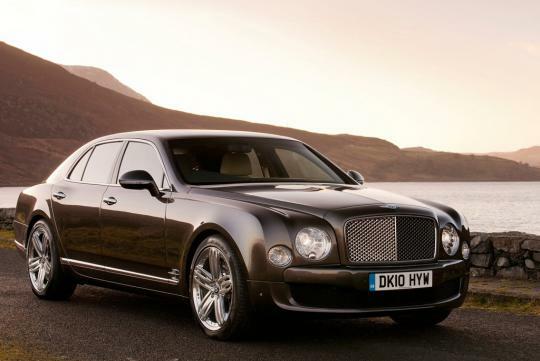 Ever since its debut at Pebble Beach back in 2009, Bentley�s flagship ultra-luxury Mulsanne saloon combines coach-built elegance and hand-crafted luxury with vast power and sportiness. 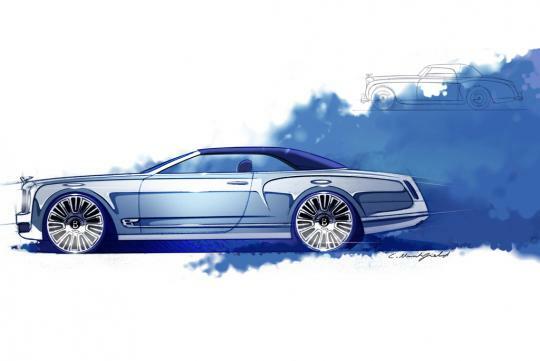 Now Bentley's designers have hinted at Mulsanne concept sans the roof and the rear doors. 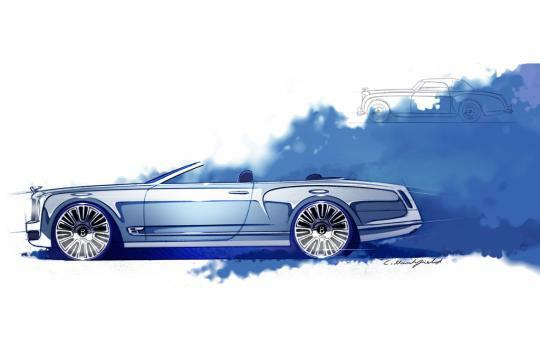 A replacement for the Azure convertible, the Mulsanne Convertible Concept will be elegant and sophisticated besides providing supreme power and a refined grand touring experience for four. The Mulsanne concept is set to appeal to automotive aficionados seeking the ultimate in modern design, prestige and exclusivity. Bentley allowed a select few at Pebble Beach to view its Mulsanne Vision Concept. Bentley refused photography and will not be releasing pictures besides the sketches. 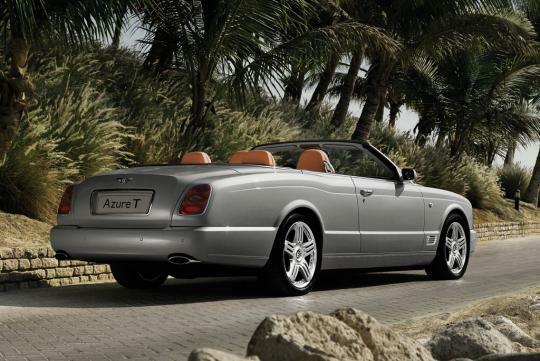 The graceful Mulsanne Convertible blends sportiness and coach-built elegance with clean yet graceful lines and muscular haunches. Bentley claims the cabin is inspired by luxurious, high-performance power boats. With Maybach out of the way, Bentley aims to create an undisputed benchmark in handcrafted automotive luxury. Watch your back Rolls Royce. According to sources whom were lucky enough to see the actual car, the concept features a steep windshield, a wheelbase shortened by about six inches and two stretched out doors. The doors have two latches on each interior panel, so rear seat passengers may access them as well. Not sure how that comes in handy, because essentially the front row passenger have to alight first either way. Nonetheless the car is clad in hydroformed aluminium panels with LED lights highlighting the top of the rear decklid. The interior is decked in a sea of soft leather, polished stainless steel and signature wood. 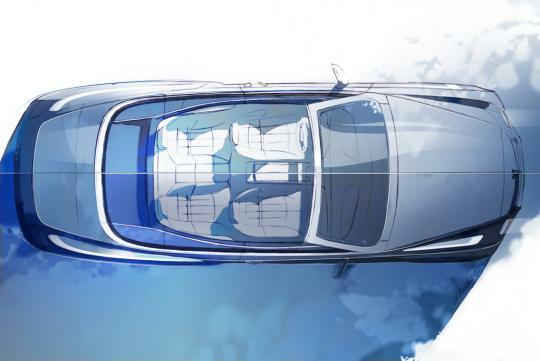 Commenting on the Mulsanne Convertible Concept, Wolfgang Durheimer, Bentley's Chairman and Chief Executive says, "The modern, luxurious, high-tech Mulsanne saloon provides a perfect foundation on which to create the world's most elegant convertible. 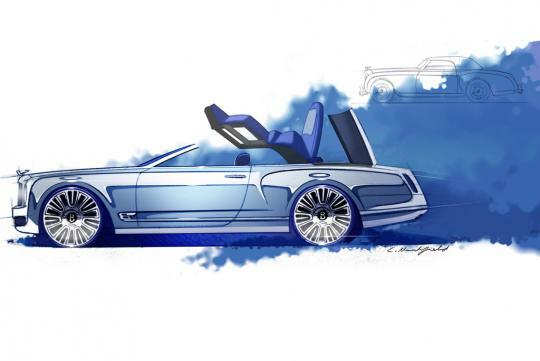 The Convertible Concept will extend the appeal of the Mulsanne family, while enhancing the profile of the Bentley brand, particularly in new and emerging markets."  Bentley isn�t new to open-top cars as they have been essential since the company�s establishment in 1919.